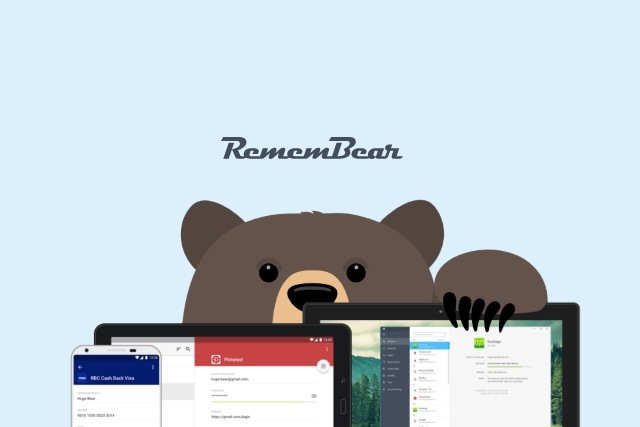 After around six months in beta -- and two years in the making -- the team behind the TunnelBear VPN tool has officially launched its password manager, RememBear. Vying for attention in an already somewhat crowded marketplace, RememBear takes a leaf out of TunnelBear's book, and concentrates on offering functionality that's simple to use. There's also the same quirky use of animations throughout, but this should not distract from the fact that this is a powerful and secure place to store passwords. As well as storing your passwords so you don't have to remember the large number you need each day, RememBear can also enter them for you automatically. Synchronization is available so you can access passwords across multiple devices, and things are kept secure thanks to the use of end-to-end encryption. This is just as well, because in addition to login credentials, RememBear can also store your credit card details. As with TunnelBear, there are free and paid-for versions of RememBear. With the free version you can store an unlimited number of passwords on one device (although you get 30 days of access to premium features as a trial), while for anyone who pays $3 per month there's the addition of cloud backup and cross-device syncing. Future versions of RememBear will add support for not only secure notes, but also two factor authentication (2FA), although there's no word on just how far off this is at the moment. RememBear is available for Windows, macOS, iOS and Android, and there are also extensions for Chrome, Firefox and Safari. Grab your copy from here.